Страница 2 из 4 • Пред. • 1, 2, 3, 4 • След. No. All good. We want to create short piano like concerto that has to be synced to 2min music. Will then the audio in unity be in sync with spine animation? I mean if I take that same audio and play it in unity via audiosource? Do I need to do some extra unity syncing? Or updating skeletonanimation by audio.time? If you update your animation using wall time (frame to frame time) it may not sync perfectly with the audio. This is mostly only noticeable for longer audio, which is how I'd classify 2 minutes of audio. In that case it's best to update the animation using the audio time, which will keep it perfectly in sync. If you only had short sound effects you probably wouldn't care to bother. Sorry, we are behind where we'd like to be. The holidays robbed some time, but mostly other things have come up (urgent bugs, support, some very annoying website needs, minor 3.7 features). We've nearly cleared our plates of that junk, leaving a few important 3.6 bugs that need addressing and to finish off audio support. I have plans to see family (I live across the pond) for 2 weeks starting in 4 weeks, which unfortunately could mean another delay. I'd love to say 3.7 can be done before that time and that is what we are shooting for, but I can't say for sure. Worst case it should be done early March. Do you have a dependency on 3.7? Is there something specific blocking you from using it as is? Remember the audio doesn't have a runtime component -- the audio events are just normal events that application code needs to use to play audio. Syncing is also done by application code updating the animations using the audio clock. Hi Nate, it has been quite a while. How is the state of 3.7? Back to your question. Yes we have animated episodes planned for production with spine. ( like Peppa Pig or Ben and Holly ) Without sound we would be animating a bit like in void. I saw that Godot spine runtime was planned/ready for 3.7 ? Is there a way to test it ? Ready means it's ready to be implemented. There's no code for Godot yet. You can follow the repository for updates. 3.7.15-beta has audio in video exports. We should release it in a few days. I have been researching a lot into Unity's audio latency (e.g. https://github.com/5argon/UnityiOSNativeAudio) no matter what you do an audio will be played a bit after you execute the code line that plays them. It might cause some misunderstanding that Spine is not accurate. It is a lot worse on iOS compared to native iOS app (but still faster than Android), on Android it is a bit late than native Android app. A naive solution is by playing the audio early to compensate. It can't be helped in a non-deterministic situation like when you require player input at that instance to decide to play the sound (like pushing buttons, hitting drums) but in case of Spine we can know in advance that the audio is going to be played after we started the animation. (That is if we don't stop the animation) This problem is then solvable by thinking as if the audio event is a bit early on the timeline. That is to say it would be great if I have some way to do this in the API side in Unity. Might make the API ugly and hard to understand why it is there (and it is not even Spine's fault)... but will be better than moving the event back manually in every animation in Spine every time I want to build to Android. If the event is near the start and can't be moved back we might move them to the earliest 0 time, or delay the animation itself so that sound playing can come earlier. The game measures the time from when the audio data is submitted for rendering and when the mic picks it up. 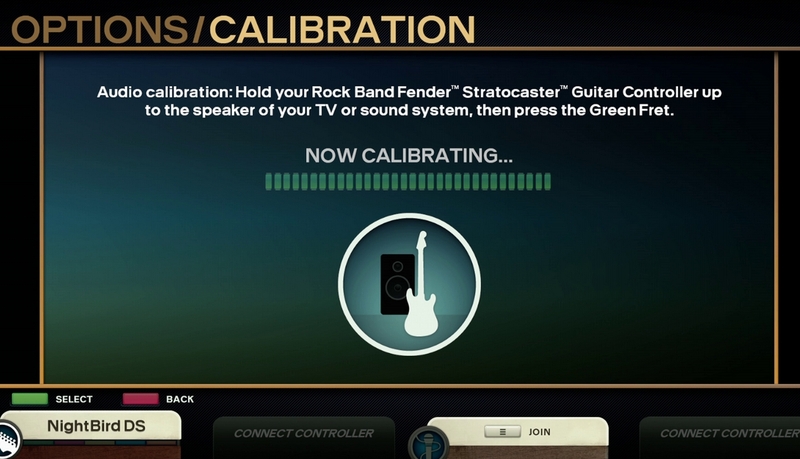 Rock Band doesn't know what kind of audio hardware you will use (laptop speakers, a home theater receiver, etc), but it does know the exact mic's specifications. Since you are unlikely to be selling your users a mic, you probably just need to make the synchronization configurable. You could allow a number to be specified in milliseconds and/or make a game of it, similar to the video pic above. 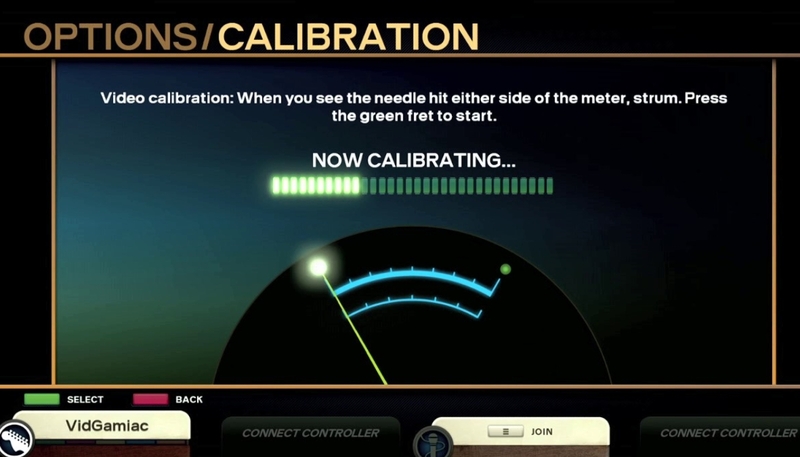 Eg, play a metronome sound and have the user tap the screen when they hear it. Nate писал(а): 3.7.15-beta has audio in video exports. We should release it in a few days. This is great to hear, I just updated my Spine to 3.7.15 as this is pretty much the feature I've been waiting for. How is this done in the export? I don't see any settings and the resulting video doesn't play at all for me. Currently only AVI has audio. It is always output, there are no options yet. Nate писал(а): Currently only AVI has audio. It is always output, there are no options yet. I tried it on your suggested player, VLC, and windows media player and none worked. Your player gave an error saying the file existed but didn't contain any video information. do you will release this soon ? it's been 10 months that this feature are in beta! It's true, but we've unfortunately been caught up in a myriad of other things. I can assure you our days are full of work, and then some! The beta is available for use now. It is not necessary to wait for the official 3.7 release. Nate писал(а): It's true, but we've unfortunately been caught up in a myriad of other things. I can assure you our days are full of work, and then some! The beta is available for use now. It is not necessary to wait for the official 3.7 release. I thought it had not really changed in the last 10 months !, what your blog give show. I am happy to see that it moves a lot. Whoa, what the heck? You guys have been working on adding audio in the editor for almost a year now and I had no idea? Wow. Shows how well I've been keeping up with things. If it releases soon it may come in handy for the menus in my game. Hey, now all you need is a way to crop video exports and Spine could be a simple video animation software on the side. it remains that if you take a look at github, there are plenty of developers who developed a audio API in only few months, and for free ans in solo !!!. The reason for my complaint is that the software costs me 400$ CAD and that there is a lot of improvement to make and a lot of promise. As a developer I am aware and know compatibility problems, but I think that everybody is very much expecting the next update. I take into consideration that the team is looking to be compatible with as much of "frameWork" as possible, which is a freak lot of work! Personally and by logic, I do not work with the betas, so I wait until the next stable update. Audio is a big wait, but also a export engine similar to TexturePacker, and also compatibility with normalMap management. it very awesome to have Broadcasted live on Twitch with 4 Hours from Erika﻿. But dev need a short video and a pro video tutorial editing with pro editing to learn fast. Also Erika﻿ tell me , >4houre video we don't have subtitles from youtube , so we can translate and it hard to understand..
3.7 looks very promising. We relay on Spine to create both player animations and cutscenes. Audio sync allow us to work on cutscenes and match the soundtrack precisely. Looking forward for 3.7 to land on an final release. How stable is the new beta version? I'd love to use the new export functions but also don't want to have to keep switching back and forth between the beta and production versions. Hi there, first of all thanks for your software, it works for me like no other. I finally managed to make an account for the forums to participate. I just made a little project with the newest beta to try out Stretch IK's. Everything works fine, but if I'm trying to export it to JSON, it creates a JSON string, but produces an error by packing the texture, calling "string index out of range: -1". Never seen that one before. Any ideas? The previous beta I used was 3.7.19 and it worked as far as I know, but this error also occurs for me when I try to export the example spine boy. @PuppyPuppyPuppy @edshafer The new beta will most likely need a couple of iterations to make sure the new export options are all working 100%. A lot of the export stuff was redone by Nate. Any export/packing errors should be fixed pretty quickly, my best guesstimate is that there will be a new version up within the next couple of days. Awesome! Export works again and runs in the unity 3.6 runtime. Can you guys focus back on improving the editor UI to make the workflow better after the audio support? There are lots of good suggestions by the community over the years and lots of them are IMO very critical but still not implemented. I found myself spending lots of time doing things that could be avoid if many of the suggested ideas got implemented. Mark topic unread • Страница 2 из 4 • Пред. • 1, 2, 3, 4 • След.